Located in Gorgie, this hostel is within a 15-minute walk of Tynecastle Stadium and Murrayfield Stadium. Edinburgh Zoo and Edinburgh Castle are also within 3 mi (5 km). Slateford Station is 17 minutes by foot and Edinburgh Haymarket Station is 27 minutes. Along with concierge services, this hostel has dry cleaning and tour/ticket assistance. Free WiFi in public areas and free self parking are also provided. Additionally, a garden, barbecues and a picnic area are on-site. All 10 rooms offer complimentary wireless Internet access, showers and free toiletries. 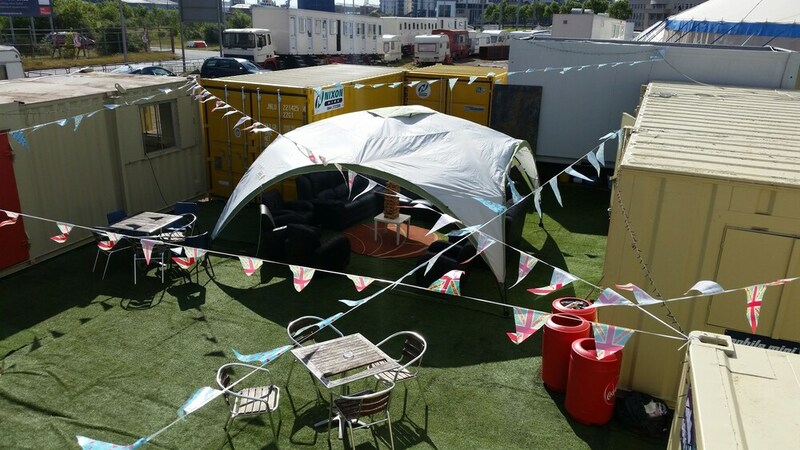 Containers Hostel Edinburgh features tour or ticket assistance, a BBQ and a garden. Public areas are equipped with complimentary wireless Internet access. This Edinburgh hostel also offers a picnic area, concierge services and dry cleaning/laundry services. Complimentary self-parking is available on-site. Containers Hostel Edinburgh has designated areas for smoking.